The Horror Section: The Good Kind Of Odd. 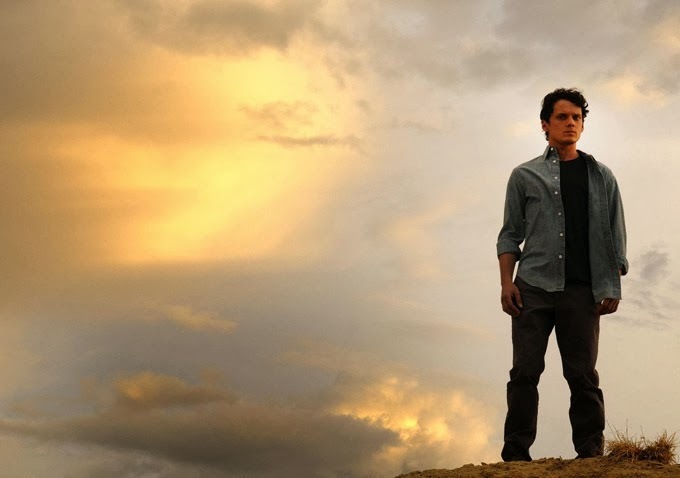 I have to say this Stephen Sommers adaptation of a Dean Koontz novel called Odd Thomas crept up on me. I knew nothing of this series or film before its inclusion into this year's Toronto After Dark lineup. And I'm fine with that. Odd (Anton Yelchin) is a mild mannered short order cook, who also just happens to possess clairvoyant abilities. When he sees a spectral harbinger of doom arrive in his small town, he sets about using his gift to prevent it. This movie was a lot of fun, and I think Stephen Sommers was a perfect fit for the material. He always fully commits to taking you on a fantastical ride and just goes for it and I think there are two things that make him, more often than not, succeed. The first thing is that Sommers always infuses his pictures with a unique energy that keeps things going at a very fast pace. He established the movie's universe and rules very quickly, so you didn't have any time to doubt them. They just were. The second thing is he populated the screen with actors who were just as committed to giving one hundred per cent. 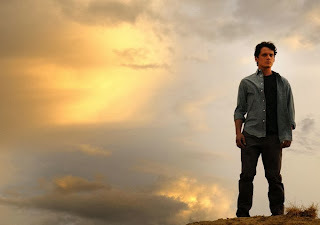 Anton Yelchin was great as Odd and had so much more to work with here, than he did in 2011's Fright Night remake. And before you go playing the nepotism card, Ashley Sommers was pretty wonderful as Odd's girlfriend, Stormy. I think that the old-timey way in which they talked to each other may put some people off, but I thought it was, for the most part, endearing and only added to their chemistry. Willem Dafoe also appeared as Odd's police chief father to add some veteran credibility to the proceedings. 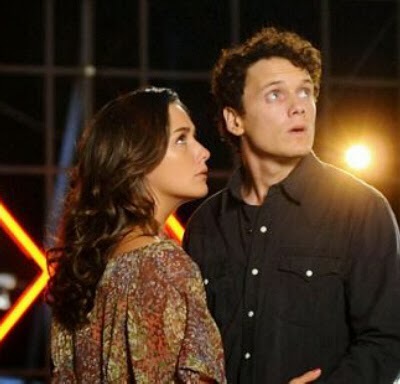 Ashley Sommers & Anton Yelchin in Odd Thomas. In composition, I was reminded of Peter Jackson's The Frighteners. It had a similar tone, involved a protagonist that can see spectral forces and successfully utilized a large amount of visual effects. Both films also had villains that were obsessed with the evils of the world, as well. 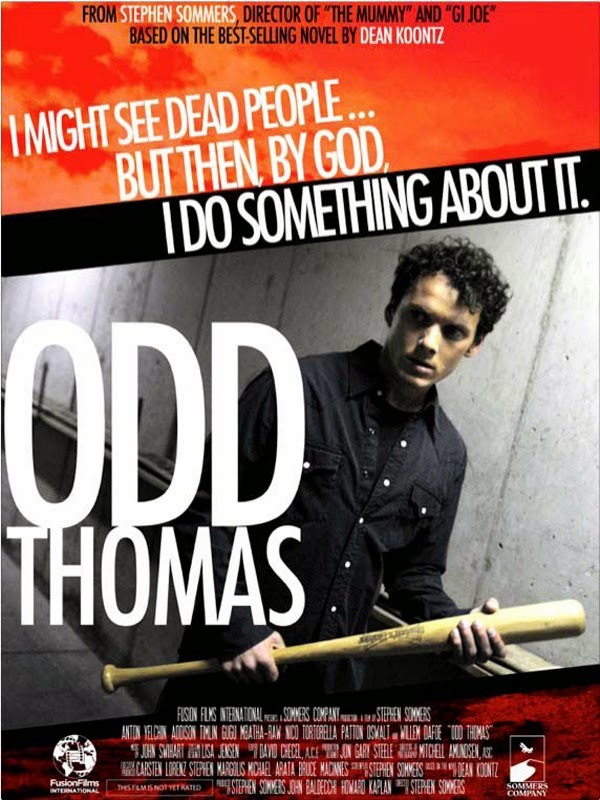 I wouldn't say that Odd Thomas approached the sheer awesomeness of The Frighteners, but it's on the doorstep. This is a very polished effort with a lot of heart behind it. 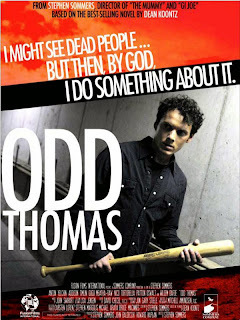 One of the Odd Thomas' otherworldly adversaries. I think the only real negative is that the movie spends way too much time accentuating every plot point with narration, visual flashes or useless dialogue. It is always annoying when a filmmaker doesn't trust his audience enough to not hit them over the head with every little thing. It's unfortunate that it had to be so on the nose, but considering the movie does have a PG-13 vibe to it, I may not be the demographic they were aiming for. I'd rather like to think that perhaps Sommers was lulling us into a false sense of security though, as I certainly didn't expect things to play out the way they did. The final moments of the film led me to believe that there may be more Odd – there are apparently five Koontz books featuring the character – in the future and I certainly wouldn't be adverse to going on another adventure with him. So, if the movie's good, why had I not heard of it until now? Sommers is a bankable name in the industry, so why did this film not get a wide release? Well, official word is that a lawsuit between two production companies has kept it shelved, but I wager the movie's climax involving a masked gunman and a mass shooting spree didn't help either. That'll put the kibosh on an American release, right quick. It's a shame because I think Odd Thomas stacks up against some blockbusters that cost over five times as much. It may be odd, but it's worth looking into.